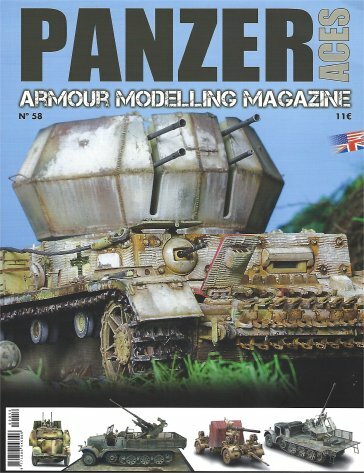 Panzer Aces is a scale military vehicle magazine produced in Spain by Euro Modelismo/Accion Press. High quality pictures agent excellent step by step procedures by the most prestigious hobbyists on the international scene. The magazine also includes pretty unique visuals of the vehicles enhanced with numerous profiles by outstanding illustrators in the scale military hobby. Tricks, techniques, scenery tips, scale figure painting and photographic reviews about the real vehicles as these appear in the magazine.